The communication of scientific principles is becoming increasingly important in a world that relies on technology. 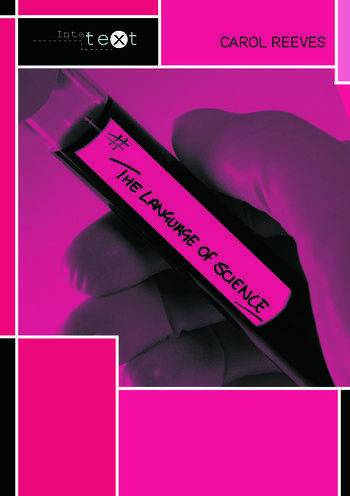 Exploring the use of scientific language in the news and examining how important scientific ideas are reported and communicated, this title in the Intertext series takes a look at the use and misuse of scientific language and how it shapes our lives. is illustrated with a wide range of examples from the MMR vaccine to AIDS and the biological weapons debate, and includes a glossary as well as ideas for further reading. This practical book is ideal for post-16 to undergraduate students in English Language, Linguistics, Journalism, Communications Studies or Science Communication. Carol Reeves is Associate Professor of English at Butler University, Indianapolis. She is an experienced teacher of rhetoric, science, science communication, and science journalism, and has published a number of articles on topics such as Language and AIDS.